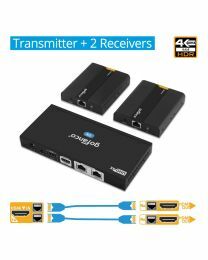 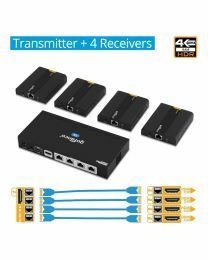 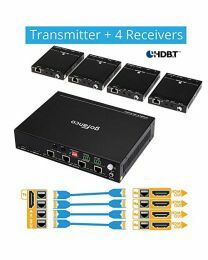 An HDMI Splitter Extenders take a single HDMI input and sends the signal over Cat 5e / 6 / 7 cables to multiple separated locations. 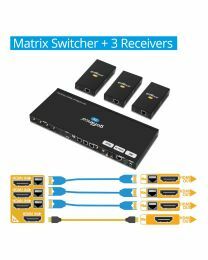 You've got your awesome home theater setup in the family room, but sometimes you want to watch TV in the kitchen or out on the back porch. 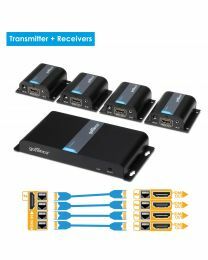 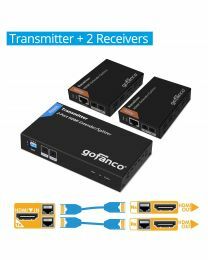 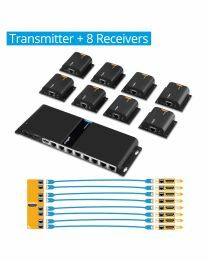 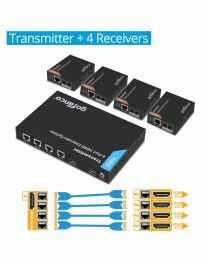 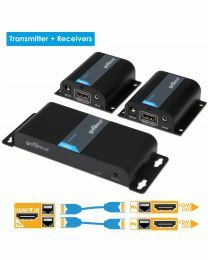 Just use a handy HDMI Distribution Amplifier Extender from gofanco.